WEDNESDAY, April 20, 2016 (HealthDay News) -- A new study suggests a possible link between certain germs found in the mouth and a heightened risk of pancreatic cancer. "We identified two types of bacteria that are associated with a higher risk for pancreatic cancer and have been tied in the past to such diseases as periodontitis, or inflammation of the gums," explained lead researcher Jiyoung Ahn. She's an associate professor of population health at NYU Langone Medical Center, in New York City. Ahn stressed, however, that her team found only an association and "cannot tell if this bacteria causes the cancer." One strain of mouth bacteria was associated with a 59 percent higher risk for pancreatic cancer in people who carried it, while the other was linked to a 119 percent greater risk of the cancer, the researchers said. Those numbers reflect a person's risk of developing pancreatic cancer compared to people without the bacteria. The absolute risk of any one person developing a pancreatic cancer remains low, however. The U.S. National Cancer Institute (NCI) estimates that about 46,000 Americans are diagnosed with pancreatic cancer each year. Because it is often diagnosed only in its later stages, pancreatic cancer has an especially high death rate. 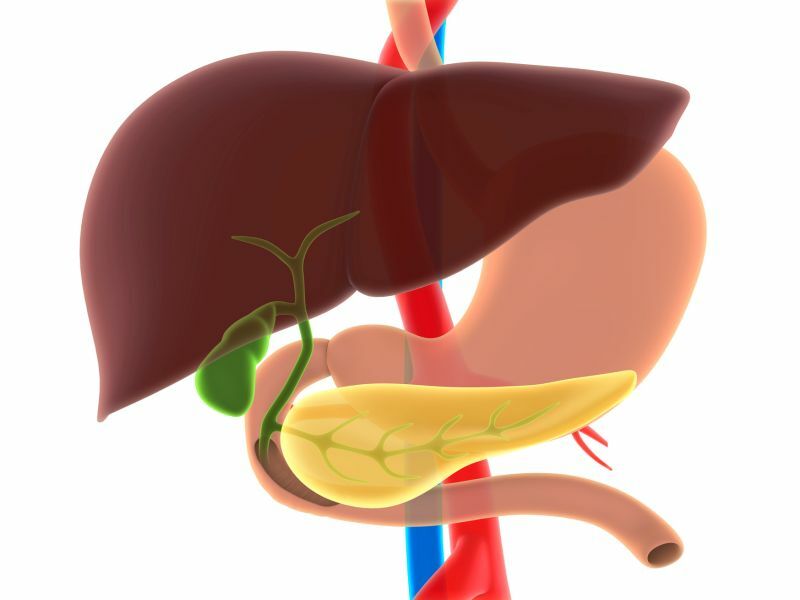 The pancreas makes digestive juices and hormones, such as insulin, which help control blood sugar. Risk factors for pancreatic cancer include smoking, obesity, a history of diabetes, and a family history of the disease, according to the NCI. For the 10-year study, the researchers tested oral samples taken from 361 participants who were healthy at the start of the trial but later developed pancreatic cancer. The researchers compared these samples to those taken from 371 individuals who didn't get pancreatic cancer during that time frame. How might a bacterial infection in the mouth raise cancer risks in other organs? Ahn speculated that people who carry these germs might be susceptible to inflammation, and inflammation has been linked to cancer. She added that -- if borne out in future research -- the study results might lead to new ways to screen for pancreatic cancer. In the future, scientists might also develop antibiotics or probiotics to control the oral bacteria, Ahn said. Dr. Andrew Coveler is an assistant member in the Clinical Research Division at Fred Hutchinson Cancer Research Center, in Seattle. He stressed that this was a small study that calls for further investigation. "It remains unclear if the bacteria are the cause or a symptom or if it is really related at all," he said. "Even if the bacteria are the cause, it is unknown if there is anything that we can do to change the bacteria at this time." Coveler, who's also director of the Pancreatic Cancer Specialty Clinic at the Seattle Cancer Care Alliance, noted that there's currently no effective screening test for pancreatic cancer. Symptoms of pancreatic cancer are often vague, he explained, and surgical removal of all or part of the pancreas is the only "potentially curative treatment." To follow up on their research, Ahn and her colleagues are currently recruiting patients and collecting surgical samples of pancreatic tissue to see if oral bacteria travel to the pancreas. The findings were presented Tuesday at the annual meeting of the American Association for Cancer Research, in New Orleans. Findings presented at meetings are generally viewed as preliminary until published in a peer-reviewed journal.